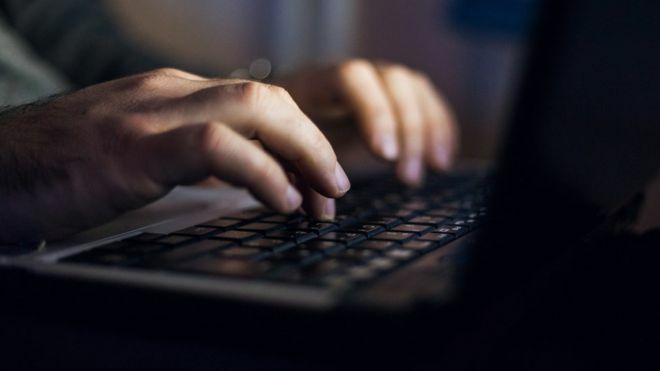 The Internet Watch Foundation says it is finding more images of child sexual abuse online than ever before, according to its annual report. It found over 78,000 website addresses containing child sexual abuse in 2017, up from more than 57,000 in 2016. The charity actively seeks and removes these images from the net as well as responding to reports it receives from the public. It said it had also processed over 80,000 reports of confirmed abuse. Additionally, there was a rise in "disguised" websites, which are on the open web, where illegal content is shown only to people who access them via a particular pathway. This means that by clicking through a series of adverts and pop-ups, they land on a website that looks totally different to the way the page appears if the address is typed directly into a browser. Often these sites request payment to view further images of abuse. There were 2,909 of those discovered in 2017, up from 1,572 the previous year. The Internet Watch Foundation began actively carrying out its own searches, in addition to reacting to reports, in 2015. Susie Hargreaves OBE, chief executive of the Internet Watch Foundation, said that offenders were "getting smarter". "It's concerning that offenders appear to be increasingly using concealed digital pathways to prevent law enforcement and hotlines around the world detecting these criminal websites," she said in a statement. Children's charity the NSPCC said disguised websites and the dark web - only searchable via specialised software - were fuelling the growth of this criminal activity. "The sheer scale and complexity of the problem is evolving rapidly in line with technology, so it's impossible to simply police our way out of the problem, we need a comprehensive strategy to stop potential offenders in their tracks," said a representative. 0 Response to "Steep rise in child abuse images online, charity reports"